I asked our sellers of our new Fish River listing at 17399 River Road So Ext. Summerdale to send us a brief narrative of some of their favorite memories that have been created over the years at this incredible river front retreat. What we received, far exceeded my expectations and I am very pleased to be able to share this personal information with those in our audience with an inherent passion for investing in real estate for sale along beautiful Fish River. 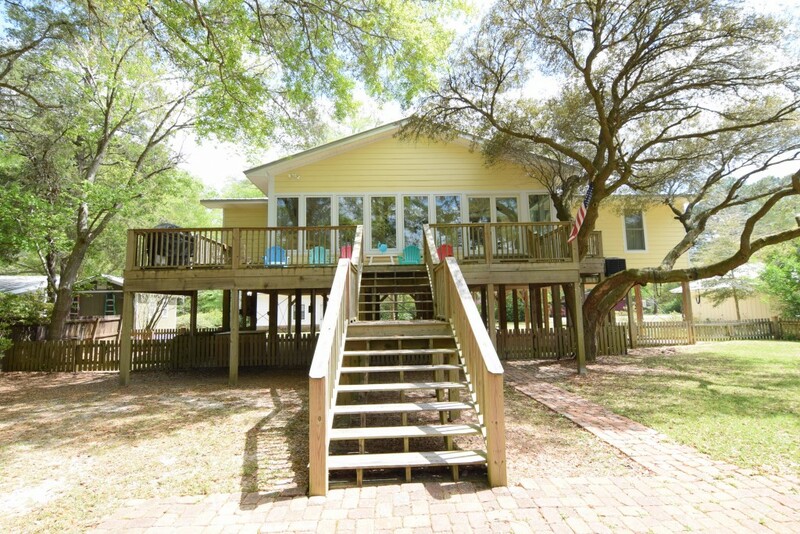 Please take a moment to read their statements below and call the Jason Will Real Estate sales office at 251-866-6464 for a private tour of this amazing Baldwin County waterfront property for sale. On May 10, 2005, our first grandchild was born at Thomas Hospital in Fairhope, where our son and his wife lived. That was the day we discovered the River House, while riding around looking for a 2nd home. We decided to purchase the home shortly thereafter. As I sit in the sunroom now, composing this email and I look around at all of the black and white photos taken during our many offshore fishing trips in the Gulf of Mexico, it just makes me smile and feel the warmth that surrounds these fond recollections. It’s as if I can still feel the sun and the wind in our faces and hear the laughter, that can always be heard on our family outings together. On simpler days we would load everyone aboard the boat for a day of tubing on the river or taking the canoe and kayaks down the river toward our favorite sandbar for swimming with the grand-kids. What a peaceful place. A modest refuge of sorts. Big Daddy’s restaurant menu is always kept on hand for when we wanted seafood or their famous hamburgers. We could either call in a to-go order or make the short drive to the Fairhope side of the river to dine outside for full access to the scenery and live music echoing over Fish River. Being centrally located to Fairhope, Foley and Gulf Shores, has been great since we love spending time at the gulf and shopping at the Tanger Outlet Mall or in the quaint shops of Downtown Fairhope. Coming home with that familiar sandy and pink exhausted bliss from a day at the beach, was another reason we truly enjoyed the luxury of our 2nd home location. We now have 8 grandchildren and both our son and daughter, with their large families, have moved out of Alabama due to job changes, thus we have found it more and more difficult to make memories together at the river house. This is the primary reason, that we have decided to put the house up for sale and pass it along to another family in need of a lifetime’s worth of memories. Tour Fish River Summerdale Alabama homes for sale with the Jason Will Real Estate Team 251-866-6464.